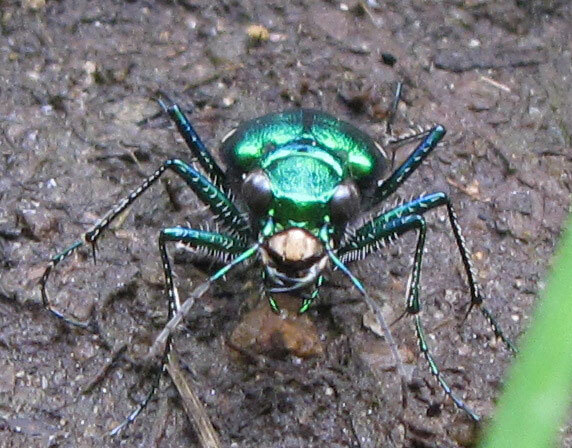 Tiger beetles come in a huge variety of shapes, sizes and colors. 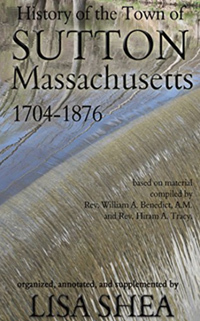 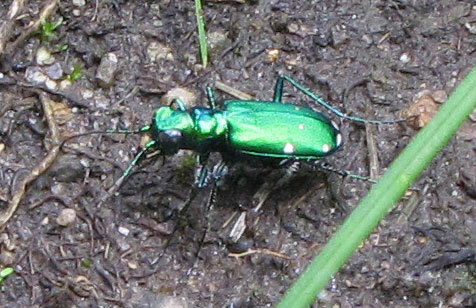 The one we saw in Sutton, Massachusetts was a beautiful irridescent green color. 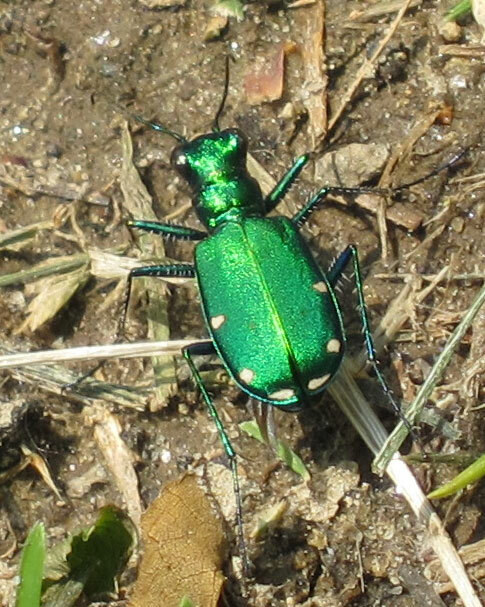 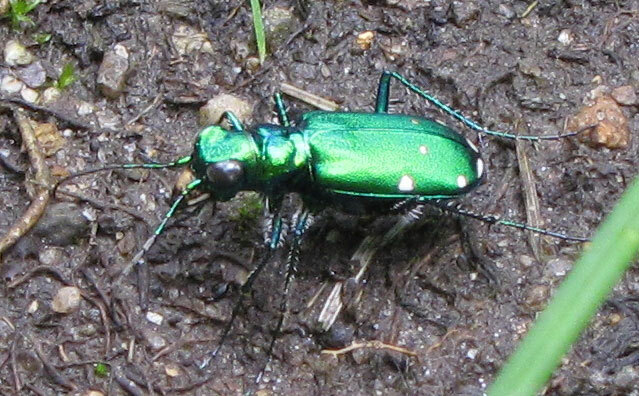 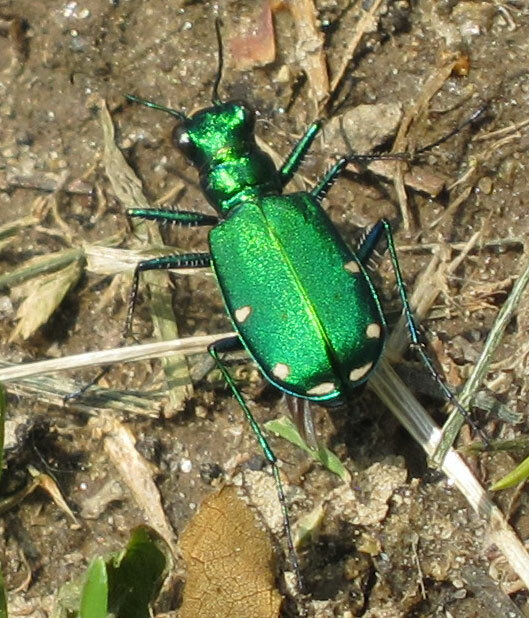 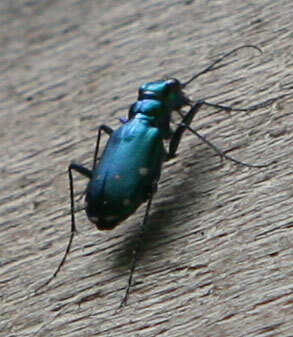 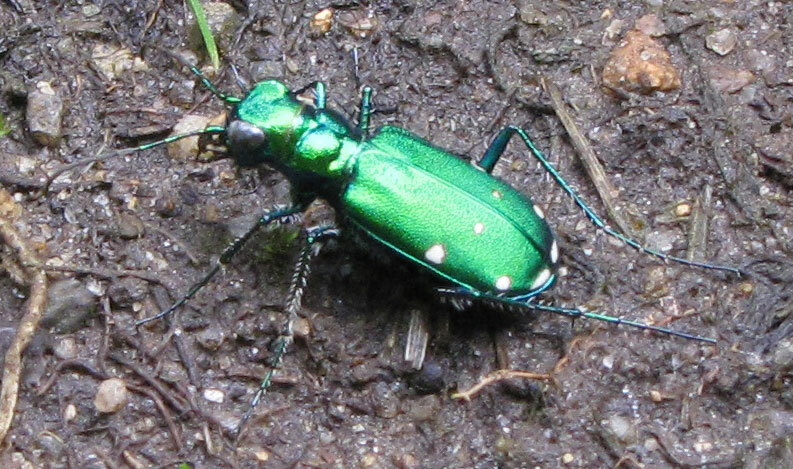 It is called a six spotted tiger beetle even though to me it seems to have eight spots! 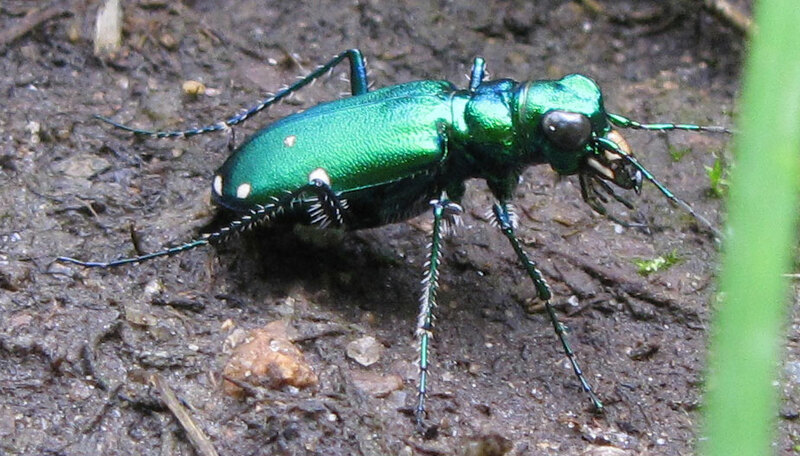 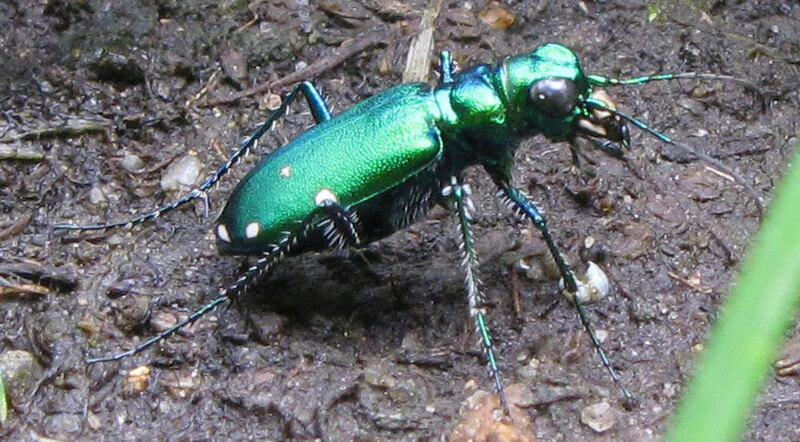 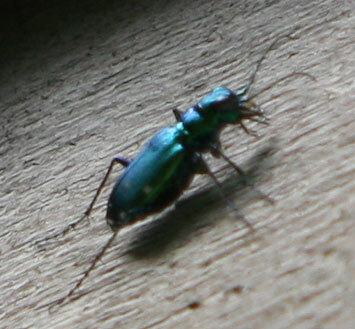 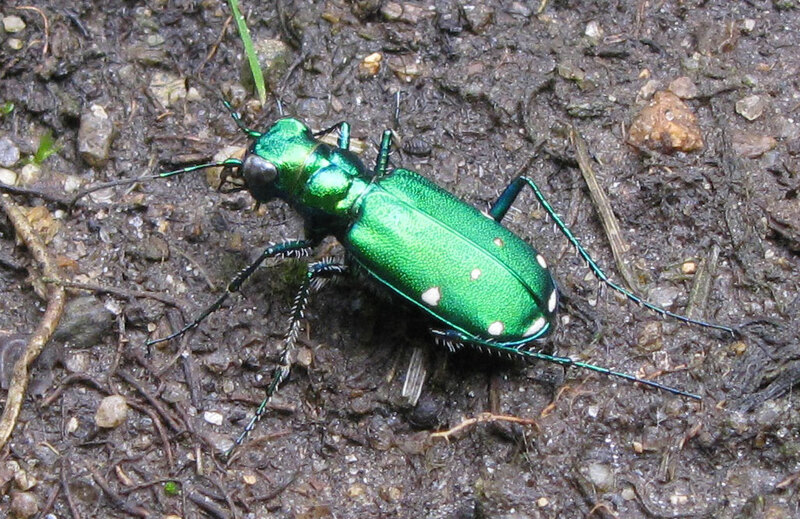 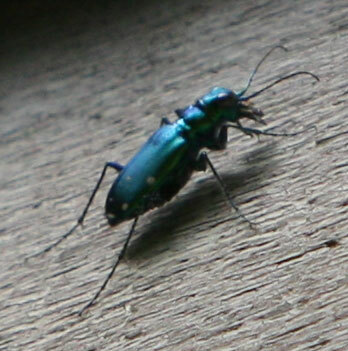 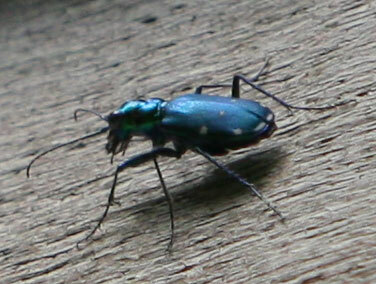 This is known as Cicindela sexguttata. 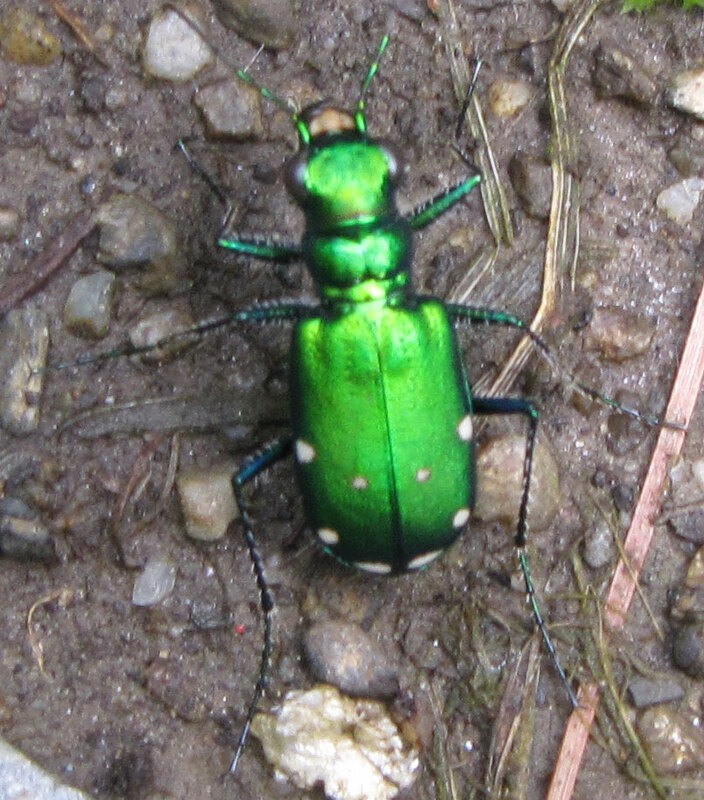 Click on any of the green images below to get a larger version! 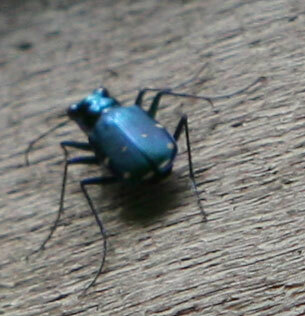 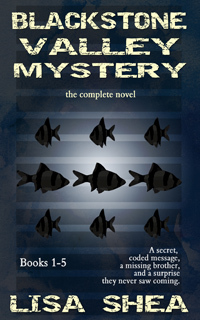 Here is another one, more blue in color! 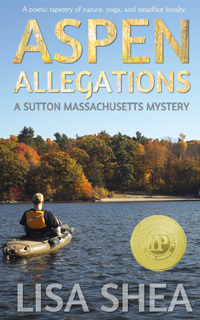 Here's one from May 2011 from the Blackstone National Golf Course.